Minnie Steeves married Rev. Ralph James Haughton in circa 1892 mar 8 y in 1900 census. Richard Haughton married Lucy M. Strong in circa 1865 m 45 y in 1910 census. Lucy M. Strong married Richard Haughton, son of Robert Haughton and Ann Dixon, in circa 1865 m 45 y in 1910 census. Charles Perry Haughton married Lura Avery. 1900 Census 1900 Foxboro, Norfolk Co., MA, USA, age 44, an "inmate at the Massachusetts Hospital for Dipomaniacs Lives"
Notable was an "inmate at the Massachusetts Hospital for Depsomaniacs"
Richard J. Houghton married Ellen Cummings in circa 1895 he age 23; mar 5 years in 1900 census; mar 14 y in 1910 census. Ellen Cummings married Richard J. Houghton in circa 1895 he age 23; mar 5 years in 1900 census; mar 14 y in 1910 census. Marie Houghton married (?) Sullivan. 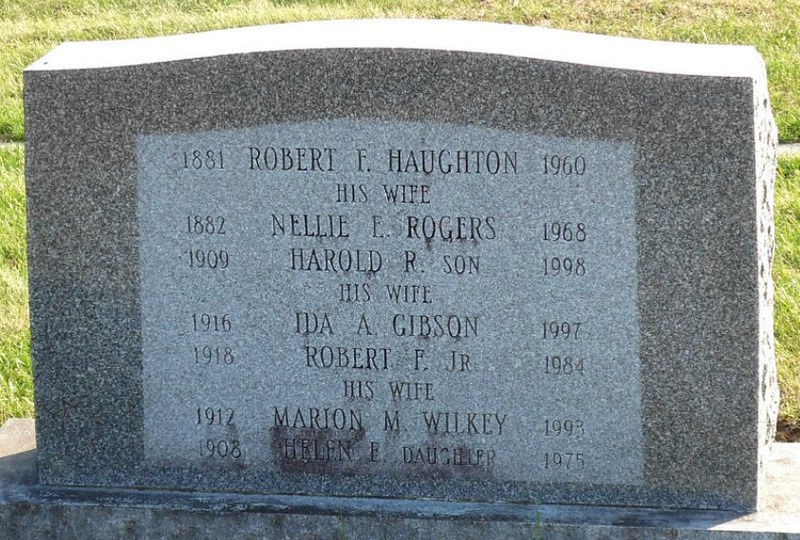 George Nelson Houghton married Marie A. Kellet in circa 1922 he 24, she 18. George Nelson Houghton and Marie A. Kellet were divorced before 1940. Robert Franklin Houghton married Melvina E. Rogers in Nov 23, 1904 at Athol, Worcester Co., MA, USA, Robert F. Haughton & Melvina E. Rogers, 23 & 22. Ernest Rutherford Houghton married Annie Laura Larkin in circa 1902 both age 24; mar 8 y in 1910 census. Elmer Winchester Houghton married Eunice E. Parsons in circa 1900 age 27 and 22. Sarah A. Newhall married Thomas O. W. Houghton, son of Thomas Houghton and Sarah (?). 1900 Census 1900 Springfield, Hampden Co., MA, USA, age 48, "taylor"
Seaford Houghton married Emma (?) in circa 1875 mar 25 y in 1900 census. Emma (?) married Seaford Houghton in circa 1875 mar 25 y in 1900 census.